Baseball, and sports in general, are filled with players that we hear far too much about when comparing their on-field talent with the coverage the media affords them — call it the Tim Tebow phenomenon, or a Johnny Manziel moment. Even though baseball holds itself to an arguably more austere standard, it’s certainly not immune to this sort of overrating, especially among starting pitchers, and for many of the same reasons: name recognition, playing in a large market, and so on. Matt Harvey has become overrated for these reasons, mixed with his poor performance so far in 2016. At the same time, there are plenty of players that are underrated. Whether it be because they’re overshadowed by great players on their own team, being in a small market, or being good-but-not-great over a long period of time, here are the five most underrated starting pitchers in Major League Baseball. Gonzalez had an interesting start to his career, being drafted by the White Sox, traded to the Phillies for Jim Thome, traded back to the White Sox, and then dealt to the Oakland A’s for Nick Swisher. It was there that he made his major league debut before being sent to the Washington Nationals, where he currently resides. Gonzalez gets overshadowed by the bigger names in the rotation, such as Max Scherzer and Stephen Strasburg, but he’s as consistent as they come. From 2010-2015, the leftie averaged 31 starts per season and a 3.31 ERA. The range of ERA from season to season went as low as 2.89 and no higher than 3.79. Gonzalez may not be an ace, but he’s a very reliable number two or three starter in a good rotation. Another instance where a player is underrated because he’s overshadowed on his own team. Jake Arrieta and Jon Lester are two of the best pitchers in the game, and because John Lackey and Jason Hammel are pretty good too, Hendricks is the de-facto number five starter on the Cubs. He was acquired back in 2012 when the Cubs dealt starting pitcher Ryan Dempster to the Texas Rangers, and made his debut with Chicago back in July of 2014. Despite what scouts thought about his ceiling, Hendricks has turned into a quality starting pitcher. 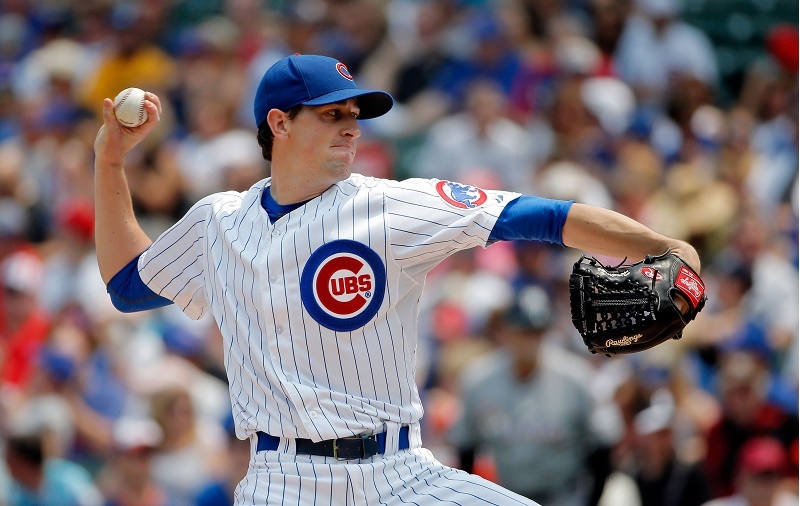 In 54 starts in his career, Hendricks has a 3.39 ERA, a 3.24 FIP, and 1.109 WHIP. He’s only 26 years old and keeps getting better, developing an elite changeup and carrying a 2.93 ERA so far this season. You’d be hard-pressed to find a better number five starter around baseball. Garcia’s underrated because of one major reason: He’s been hurt far too frequently. Garcia started his career healthy in 2010 and 2011, combining for a 3.17 ERA in 60 games started in those two seasons. But then he had three lost seasons, starting a combined 36 games over those three seasons. But then, something amazing happened—he was healthy again last seasons. Since returning to the mound and finally staying healthy last year, Garcia has started 30 games with a 2.76 ERA. He’s been extremely important to the Cardinals this year, too. With a 3.47 ERA in 10 starts, he’s been their best and most consistent starter. Adam Wainwright has been awful early on, Michael Wacha and Carlos Martinez have been hit and miss, and Mike Leake is an early disappointment. With Jaime Garcia, the Cardinals would be not just a team with poor pitching but an under .500 team with poor pitching. Odorizzi has been really good for a few years in Tampa, but gets routinely overlooked for one big reason—he’s been really good in Tampa. The tall right-hander has been one of the best pitchers in a pretty good starting rotation, along with fellow right-handed pitcher Chris Archer. 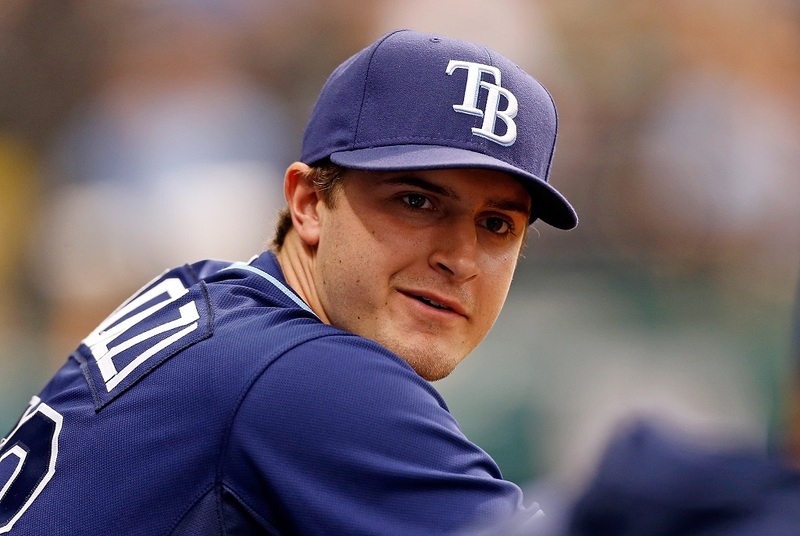 Odorizzi is just 26 years old, but because of the nature of the Rays and how they operate has been subjected to pretty consistent trade rumors. But if he is traded, especially to a big market, he’ll become more of a household name. Odorizzi has a 3.70 ERA and 3.76 FIP with 8.5 K/9 since the beginning of 2014, and with his age and strong stuff could turn into a top-three starter on a contender. With the presence of Blake Snell knocking on the door of busting into an already full rotation, don’t be surprised of some sort of trade scenario happens sooner rather than later for Odorizzi. The big name’s in Chicago as far as pitching goes are Jake Arrieta and Chris Sale, with Jon Lester and his two World Series rings and massive contract right behind. But Quintana has been fantastic this season, which is beginning to shine a light on just how good he’s been for quite a while. It wasn’t always easy for Quintana, who was released by the Mets in 2007, let go as a free agent twice by the Yankees, and finally made it to the big leagues with the White Sox in 2012. But since he’s arrived, he’s been phenomenally steady. 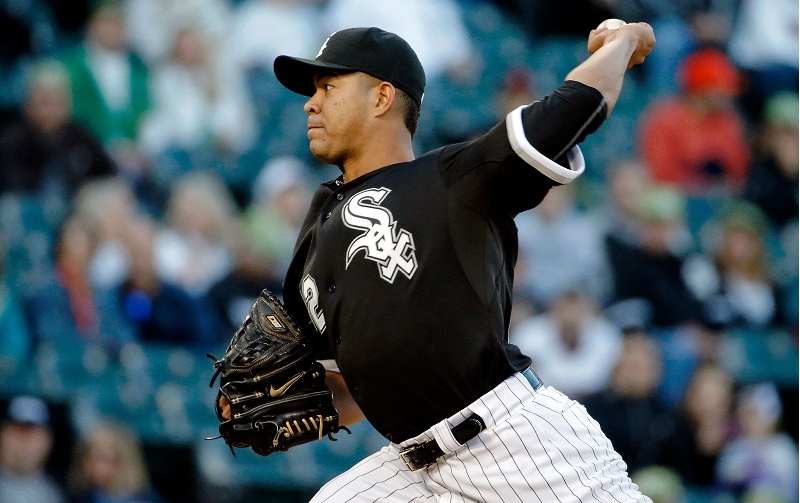 Since the 2013 season, Quintana has a 3.28 ERA and 3.16 FIP with 7.8 K/9 in 107 games started. He’s probably the best, or at least one of the best, number two starters in the game. If the White Sox are able to make the playoffs this season, having Sale and Quintana back-to-back in a playoff series doesn’t seem like an enviable task for any team. At just 27 and signed long-term, Quintana will have plenty more years left in Chicago to hide in the shadow of Sale while continuing to perform at a high level. MLB: Do the Mets Need Matt Harvey to Win the East?